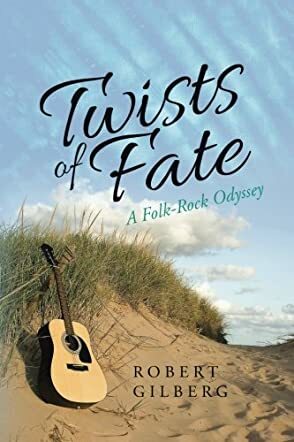 Twists of Fate by Robert Gilberg takes you on a romantic journey through time. Tom Patterson decides to take a road trip to California, wondering if second chances are possible. Tom has lived a sensible life. Living in Dayton, OH, he married Sara, raised their children and worked hard. But, Sara is gone now, his children are grown, and he is alone. Waves of nostalgia, songs of yesterday flood his mind. The image of Dianne, the lost love of his youth, beckons him. He must go, “before time won out.” Exiting Ohio and entering Kansas, Tom encounters a desperate young woman who just missed her bus. Suze is on her way to San Diego, hoping to find her birth mother. Tom offers to give her a ride; she accepts. The bond that is forged over the next 1500 miles is unbelievable. Both of them are searching for a woman from the past, one a lover, the other a mother. It is an amazing twist of fate that brings them together. If you are a Bob Dylan fan and you love romance, you will enjoy Twists of Fate. Robert Gilberg pens a fictional memoir of love lost and love found. It is a novel told through memories. Written in first person narrative, the story enables the reader to hear the thoughts and experience the emotions of the main character. He is a middle aged man, willing to take a risk, which, in his case, is totally out of character. He is a man on a mission; daring to solve the mystery of what could have been. His passion for music is compelling. Being a person who often thinks in song lyrics, I related well to his character. The young sidekick complements the plot. Her companionship shapes and stretches the protagonist’s character. She is a welcome surprise. Her entrance in the story disrupts the bygone days and memories, adding a fresh awakening to the present. Aw, youth, they do stir things up! However, you quickly figure out where fate is leading them. Fortunately, as the title suggests, there are several unexpected events that twist their destiny together. Twists of Fate unravels into a promise of hope, proving it is never too late to start again.